A file photo of Stormy Daniels. Still, there are many unanswered questions about the payment — which was made less than two weeks before the 2016 presidential election — and whether it may have run afoul of campaign finance or ethics laws. Here, we lay out some of those questions and what we know, and don’t know, at this point. This is not in dispute: Daniels, whose real name is Stephanie Clifford, was paid $130,000 in exchange for signing a nondisclosure agreement that barred her from talking about an alleged sexual encounter with Trump in 2006. On Oct. 17, 2016, three weeks before the Nov. 8 election, Trump’s personal attorney Michael Cohen incorporated Essential Consultants LLC in Delaware. In February, Cohen released a statement to the New York Times, acknowledging that he authorized the payment. The next day, Trump confirmed for the first time that he had reimbursed Cohen for the payment to Daniels. When and how did Trump reimburse Cohen? Giuliani told the Washington Post in a story published May 3 that Trump reimbursed Cohen, but he was wasn’t clear on exactly when the payments started or ended. “The repayments took place over a period of time, probably in 2017, probably all paid back by the end of 2017,” he said. Asked how many payments it took to reimburse Cohen, Giuliani told the Washington Post that Cohen received $35,000 in monthly installments beginning in January or February. He also said the total amount Trump owed Cohen was $250,000 — including the $130,000 payment to Daniels. The timing is important because Trump did not list a debt to Cohen on his 2017 personal public financial disclosure report, which he filed on June 14, 2017. So, is Cohen’s statement in February contradicted by the president’s tweet? Not necessarily. Cohen’s carefully-worded statement to the New YorkTimes says he was not reimbursed by the Trump Organization or the Trump campaign, but it did not rule out that he may have been reimbursed personally by Trump. Giuliani told the Washington Post that Trump did not know about the payment at the time it was made in October 2016. He also said he did not know when Trump learned of it. He said he spoke to Trump “about two weeks ago” about the payment, and it was at that time that Trump “probably” got “the full picture for the first time” about payment. Giuliani later told Fox News reporter John Roberts that the president wasn’t aware that Cohen used his retainer fees to reimbursement himself the $130,000 he paid Daniels. 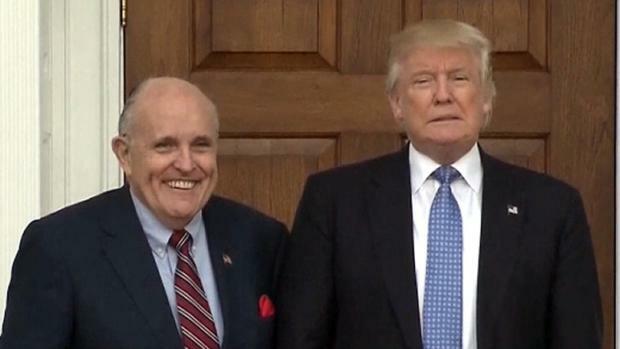 Asked if Trump knew about the $130,000 payout on April 5, when the president denied knowing anything about them, Giuliani said he did not know the answer. Aboard Air Force One, the president said on April 5 that he didn’t know about the payment to Daniels. The president did not answer the question of whether he set up a fund of money that Cohen could draw on. 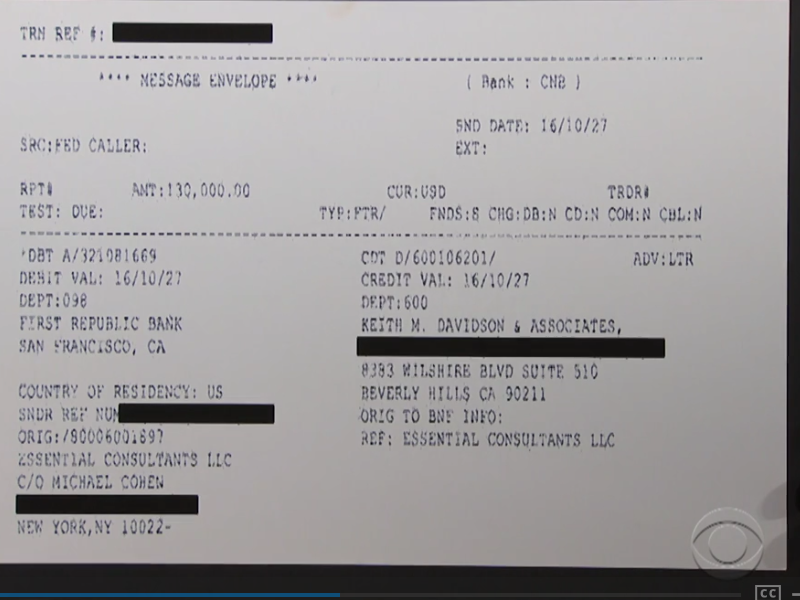 However, we now know from Giuliani and Trump that Cohen did receive a monthly retainer that was used to reimburse Cohen. In a series of threetweetson May 3, the president said that he kept Cohen on a monthly retainer and that Cohen was reimbursed from the monthly retainer. It depends on Cohen’s intention when he made the payment to Daniels and whether he coordinated the payment with anyone from the Trump campaign. If there is evidence that Cohen intended to influence the election by preventing voters from learning of Trump’s alleged affair, then the $130,000 payment is an illegal contribution — whether or not it was repaid. A loan from an individual is considered a campaign contribution — subject to the limits of individual donations to candidate committees. That limit was $2,700 per election in 2016, meaning that Cohen may have exceeded the limit by more than $127,000. Noble told us there is enough evidence for the FEC to investigate possible campaign finance violations, which could lead to either civil fines or a criminal referral to the Department of Justice. The fines vary from $5,701 to $66,666 and could be tripled if the FEC determines that the violations were knowing and willful, Noble said. He also said the FEC could refer the case to the Department of Justice for criminal prosecution. Also, Noble said, the Justice Department can decide on its own to bring charges — as it did against former Democratic presidential candidate John Edwards in 2011. In that case, Edwards was charged with — but never convicted of — multiple campaign finance violations related to payments that were made to Edwards’ pregnant mistress during the 2008 campaign. If Trump knew about Cohen’s payment, then “he can be held personally liable for accepting an illegal campaign donation,” Noble said. The issue is muddied, however, by the timeline provided by Giuliani in his interview with the Washington Post. But later, when asked about how the payments were structured, Giuliani said he didn’t know but that they were “probably in 2018.” It would also matter when Trump found out about Cohen’s payment, and his need to reimburse him. We don’t yet know the answers to those questions.